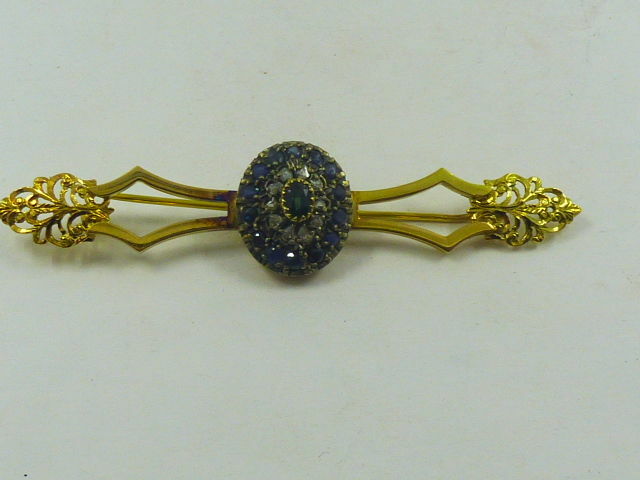 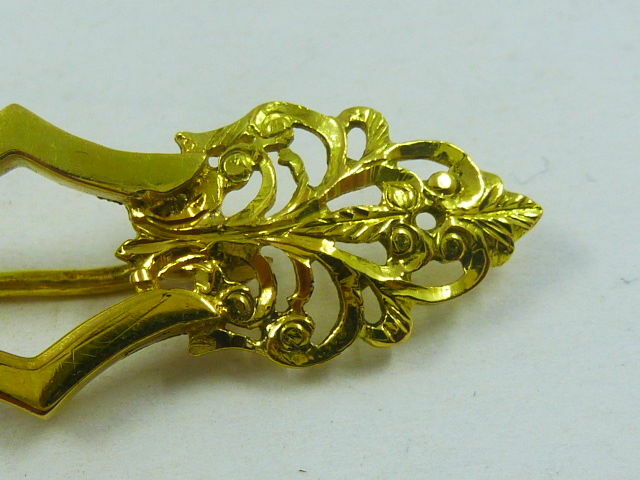 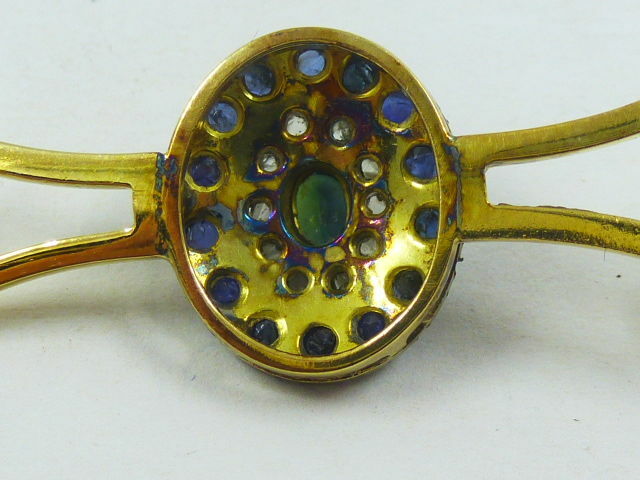 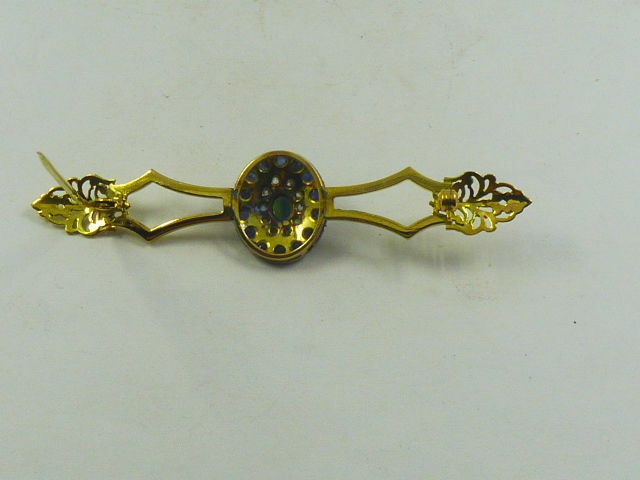 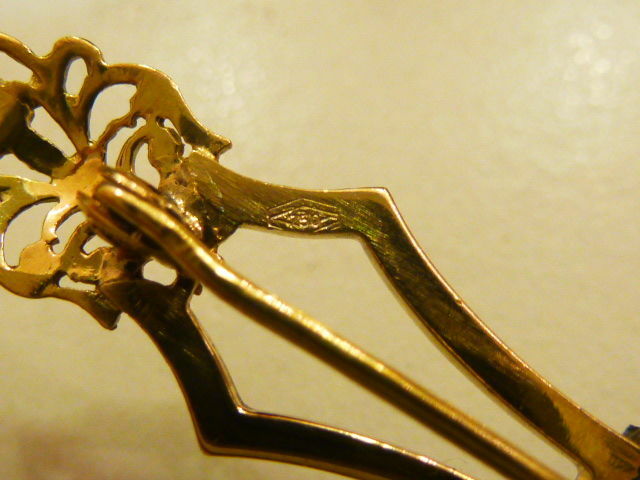 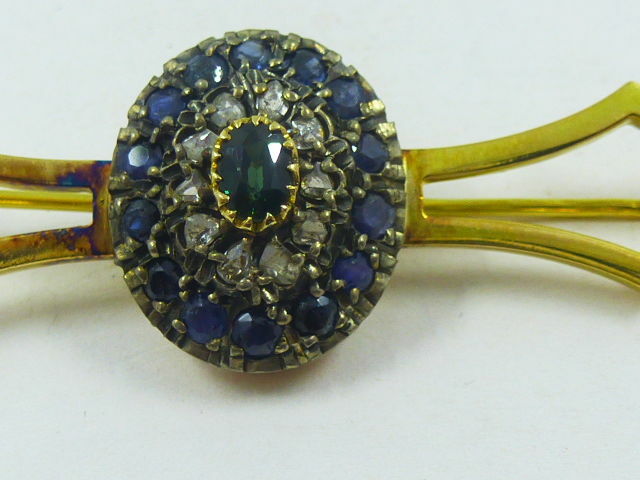 This brooch is from the 1950s and was made by goldsmith craftsmen from Torre del Greco (Naples). 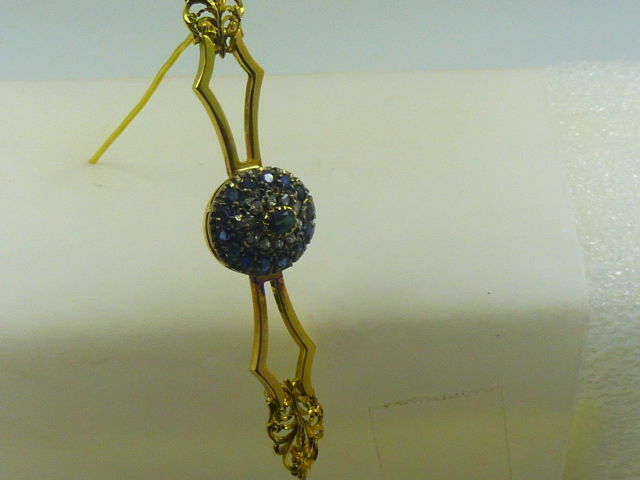 (14 stones, 0.05 ct each). 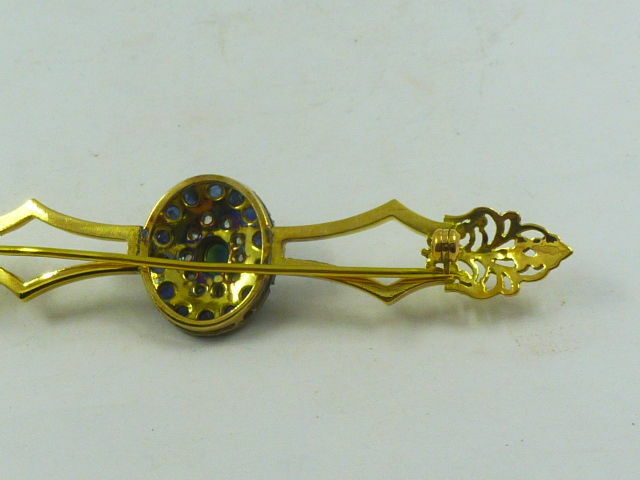 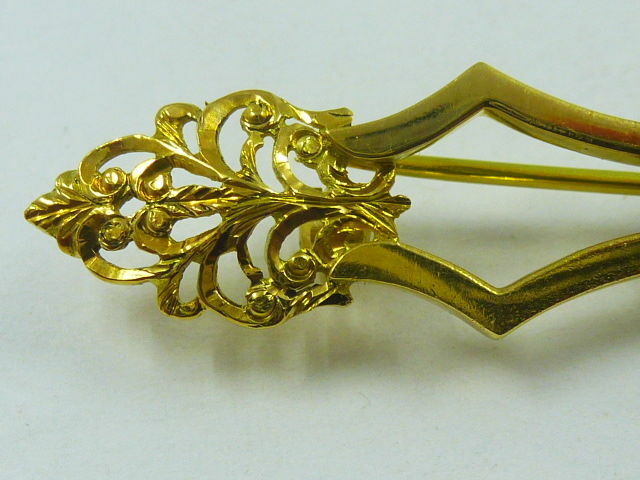 Brooch length: 7 cm, weight: 8.3 g.
Shipping via international courier with tracking and insurance.